Ulrika Karlsson is an architect and founding member servo stockholm and of the newly started architectural design collaborative Brrum. 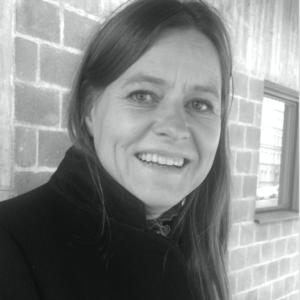 She is a professor of architecture at KTH School of Architecture, with a focus on digital methods and tools. Karlsson is also a professor at Konstfack – University College of Arts, Craft and Design. She has been a visiting faculty at Bartlett, UCL, London, teaching Urban Design. Karlsson has also taught at UCLA’s Department of Architecture and Urban Design. She received her Architecture degree from Columbia University and Landscape Architecture degree from the Swedish University of Agricultural Sciences. Karlsson has lectured and exhibited internationally and contributed to numerous journals including Perspecta, Via, Arkitektur and AD. She has exhibited at the Venice Architecture Biennale, the Centre Pompidou, ArkDes, SFMoMA, the Cooper-Hewitt National Design Museum, the Wexner Center for the Arts, MoMA/QNS, Artists Space, the MAK Center for Art and Architecture, and the Storefront for Art and Architecture. servo’s work is part of the permanent collections of SFMoMA and the FRAC Centre. Engaging a playful use of technology and material experimentation, her practice has a specific interest in the role of architectural representations and their translations, where we sometimes encounter the conflation of material and information. A current project with Brrum includes “And or not”, a proposal for a public artwork for the planned new park, Norrastationsparen in Hagastaden, Stockholm, which will be finished 2021.